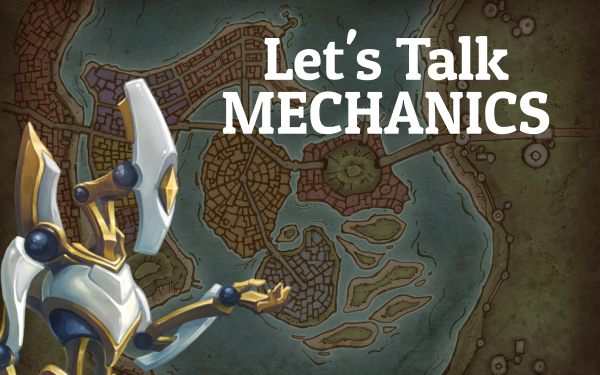 Thanks to strenuous testing, math wizards, and number-crunching scripts, Breakaway’s dice system has been tweaked and The Dice devlog is updated. This means a much more balanced spread for players and Charter Authority alike – with a slight advantage on the player’s side at a lower skill level. The below is for all the people who enjoy crunchy statistics. Here’s the spread of win possibilities for players with the original system – where single tied dice were always given in favor of the player. Notice how players have a spread of 31-91% chance of winning any roll, no matter what? Also, win chances for players can decrease as a skill levels up in some cases. When I first thought up the comparison system, I wanted to give players a small advantage against the CA – especially at lower skill levels. I didn’t intend for them to have this much of an advantage – and you can imagine my absolute panic when I found out the discrepancies between skill levels. 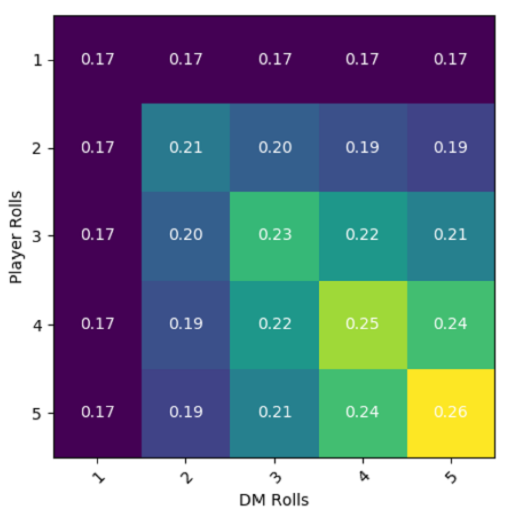 Not only is it incredibly imbalanced, win percentages were heavily fractured between each dice rolled, instead of the overall roll – meaning possibilities were down to per-dice tie, which created very strange blips between tie chance per dice pool and win chance. Thankfully, I have some very, very good people who can write scripts for running heavy numbers and possibilities to determine if a system is fair or robust. It was through these scripts that a fairer spread was achieved with two simple changes: a tie between two dice are ignored, and rolls that tie are either settled by a random roll or considered to be a mixed success. Look at that spread! It still slightly favors the player, which I wanted, and is more balanced across the board. The spread isn't as wide as I thought it would be, but I think that's to be expected in a comparison system. 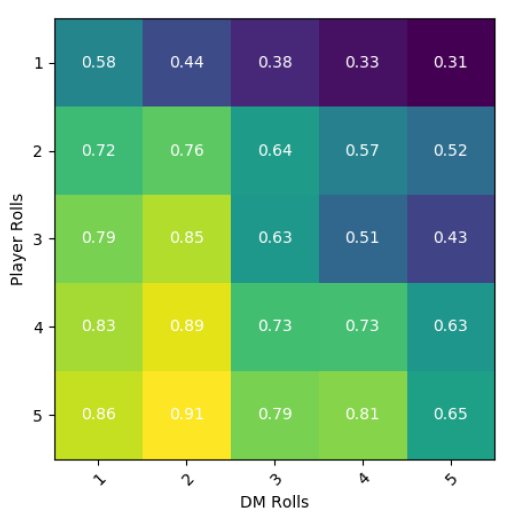 Now that the system is balanced, a decision will have to be made on whether tied rolls require the random roll, or if they should be a mixed success. This may come down to personal discretion. 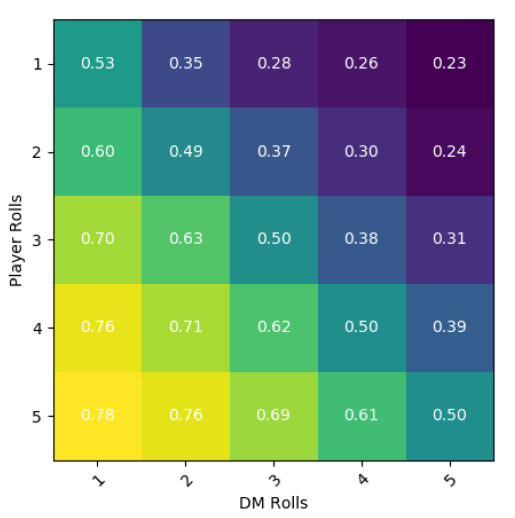 Is the roll important to the player, and therefor deserve a better chance at winning, or is the outcome likely to be more interesting if it is a mixed success? For fun, here’s the graph on the chances for ties. It’s a very pleasing graph to look at, such is its balance. Also, I was surprised to find out how tight the number range was. Turns out even with 5d6 v 5d6, you’re only going to have a 26% chance of tying, where I thought it would be in the upper ranges of 30%. It’s obvious I’m not good at estimation! Fletcher and Griff, because they’re math gods. Adrian, for putting up with math questions until I bothered Fletcher and Griff.